Inheritance in Java is the concept to hire the properties from base class, inheritance is the Java oops concept and one of the excellent feature of Java, but Inheritance in Java does not support multiple inheritance concept why because it leads to the confusion. Inheritance follows the IS-A relationship. Following is the syntax for the Inheritance in Java. Achieving multiple inheritance by using interface. Where extends is the keyword to extend the base class. 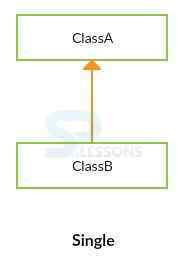 Inheritance in Java concept, Single inheritance is very simple to understand when one class is extending another class is known as Single inheritance. 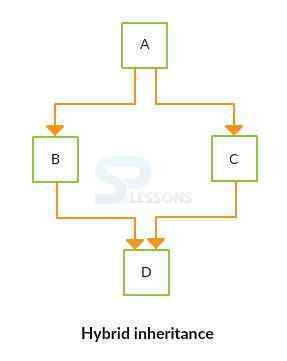 Following is an example which describes single inheritance.Following is an example to understand single inheritance. public void methodA()//super class method. Class B extends A //here B is extending the class A so all the properties of class A will be hired by class B. In Inheritance in Java, multilevel inheritance will follow the Object Oriented technology where users can inherit properties from derived class and thereby making this derived class the base class of the new class. Following figure will explain the overall concept. Where class C is the child class of class B and class B is the child class of class A, here class C has all the rights to hire the properties of class A and class B, this is called as multilevel inheritance. Following is an example. Here Maruti800 can hire the properties from above classes and object is also created in this class only. 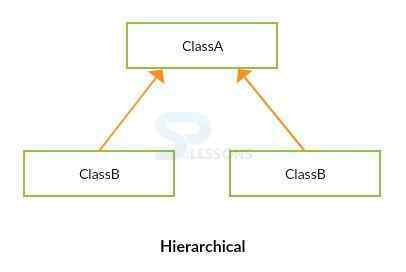 In Inheritance in Java, If more child classes hire the properties of one super class is known as hierarchical inheritance. Following is the conceptual figure which explains the concept of hierarchical inheritance. As explained in the above figure Class B and Class C are hiring the properties of Class A. Following is an example which describes more about the concept. As explained in the above program Class A and Class B are taking the ownership from HierarchicalInheritance. Inheritance in Java, The interesting point in Java is that it does not support multiple inheritance concept, why because it leads to confusion, it will be overcome with the interface concept. Following is an example which describes more about this concept. 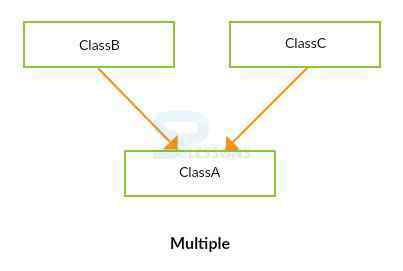 As explained in the above image Class A is hiring the properties from Class B and Class C, while executing a method from both the classes dependency problem will be occurred, this is the reason Java does not support multiple inheritance. The interface concept is there in java to achieve the multiple inheritance concept as follows. Inheritance in Java concept, Hybrid inheritance is a combination of single inheritance and multiple inheritance. Java does not support hybrid inheritance with classes, it supports while using interfaces.Following is the conceptual figure. Inheritance in Java is the oops concept. Hybrid inheritance and multiple inheritance problems will be overcome by using interfaces.